The AFL Community Ambassador program was established in 2013, with the aim to engage Multicultural Communities through a network of dedicated volunteers while using Australian Rules Football as a vehicle of engagement and inclusion. Each month up until September, the AFL Community Ambassador Program will recognise and highlight the achievements of one of the many Ambassadors throughout the country. Nabil has been instrumental with the implementation of the DRod Umpiring Squads in the North West corridor of Melbourne. 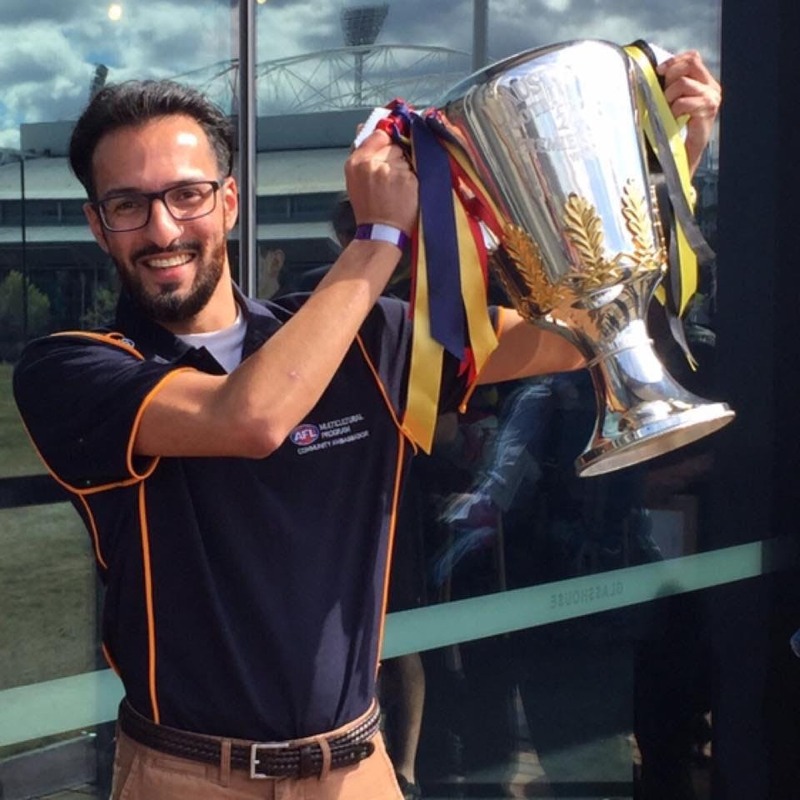 In 2018, Nabil was the voice of the community welcoming 20 new participants to the first AFL Multicultural Drod Umpiring academy in Victoria. By the end of the program, he had successfully transitioned 15 new Multicultural Umpires into the EDFL Umpire Community Hub. 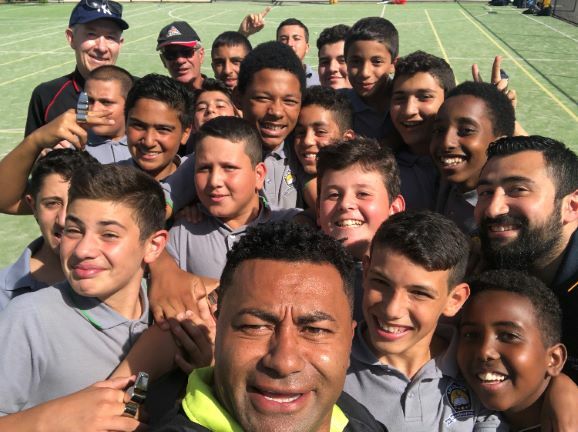 This year, Nabil is continuing to lead the way, with his passion and dedication exposing another 30 new Multicultural participants into the DRod Squad in the North West. Congratulations Nabil! - 2 x tickets and an AFL Grand Final Experience at the Toyota AFL Grand Final. - 2 x return flights (except Victoria) and accommodation for 3 nights (Thurs - Sat) in Melbourne for Grand Final Weekend. - The opportunity to walk in the Toyota AFL Grand Final Parade. The role of an AFL Community Ambassador has grown and expanded over a journey. Through strong partnerships with the AFL and its affiliated State bodies, Ambassadors have supported initiatives that have seen our game become more welcoming, accessible and inclusive for all Australians. Registrations for the 2019 program have CLOSED. A mid year intake for new AFL Community Ambassadors will occur in May 2019. To register your interest for the program please email AFLMulticultural@afl.com.au. 2019 is all about celebrating the significant contributions of AFL Community Ambassadors across Australia. To further highlight the amazing work of each Ambassador, we are encouraging Community Ambassadors to submit photos that best demonstrates the power of their work. The Photo Competition has been designed to allow AFL Community Ambassadors to think creatively, and to capture and share amazing moments they are involved with throughout 2019. The best submitted photo will be judged by a Panel of AFL Staff, who will declare a winner of the AFL Community Ambassador Competition. To enter the competition, please email AFLMulticultural@afl.com.au to submit your photo. A brief statement regarding when and where the Entry was taken. The AFL Community Ambassador Photo Competition is OPEN from Monday, 11 March 2019 and will CLOSE on Friday, 30 August 2019. The applicant submitting the photo must be a registered AFL Community Ambassador in 2019, and currently living in Australia. All photos must be taken of AFL Community Ambassadors engaging the Community and suitable for displaying on public platforms. Entries must be submitted via the link above. Entries sent in other ways will not be accepted. 3. Multiple entries will be accepted. The AFL reserves the right to disqualify any entries deemed inappropriate and not fitting the criteria above. By submitting an entry into the competition, the nominee provides all licencing rights for the submission to be used by the AFL for promotional/marketing purposes. All entries must be emailed to AFLMulticultural@afl.com.au by close of entries: midday AEST, Friday 30 August 2019.